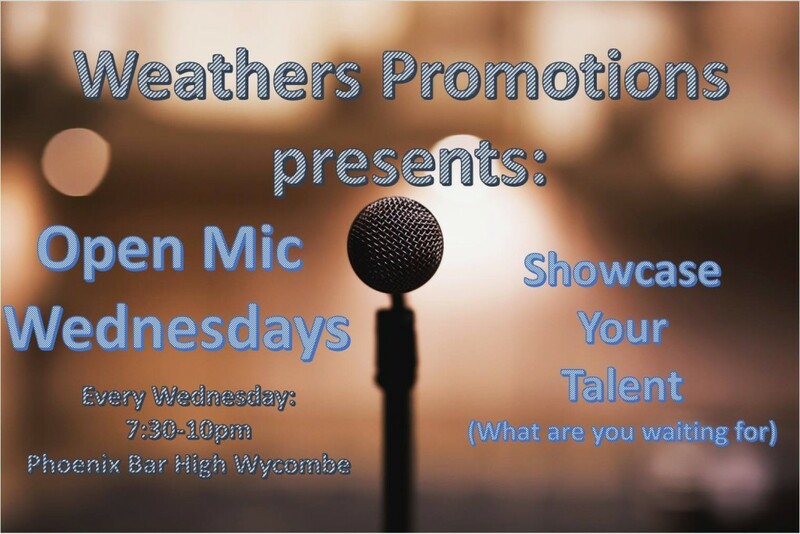 Weathers Promotions presents Open Mic Night. Fancy playing on stage? Come on down!